Available from Kappalyn Technology Solutions , Touch 65/90 barcode readers from Datalogic Scanning are ideal for data collection in light industrial environments. Touch 65/90 barcode readers are the ideal product when a cost-effective solution is required that does not compromise reading performance and product quality. 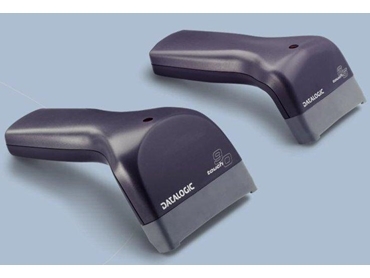 Available in two models, the Pro and the Light, the Touch 65/90 family of barcode readers benefits from the Puzzle Solver decoding technique introduced and patented by Datalogic. This decoding technique allows the barcode reader to collect partial data from successive scans and combine it to obtain complete information, rather than approaching the decoding process as a single-scan confined operation. This ultimately results in an increase in 'good read' results. The Touch 65/90 Pro barcode reader provides a complete "all in one" multi-interface solution, including RS-232, USB, wedge and pen emulation, while the Touch 65/90 Light provides USB or PS2 wedge and RS-232 single models. The Touch 65/90 Pro barcode reader also features built-in data formatting and data editing features that allow the user to shape the collected data according to whatever format is required by the application software. Both models have a scan rate of 256 scans/sec, which guarantees outstanding performance in terms of reading promptness, especially on poorly printed or damaged codes.